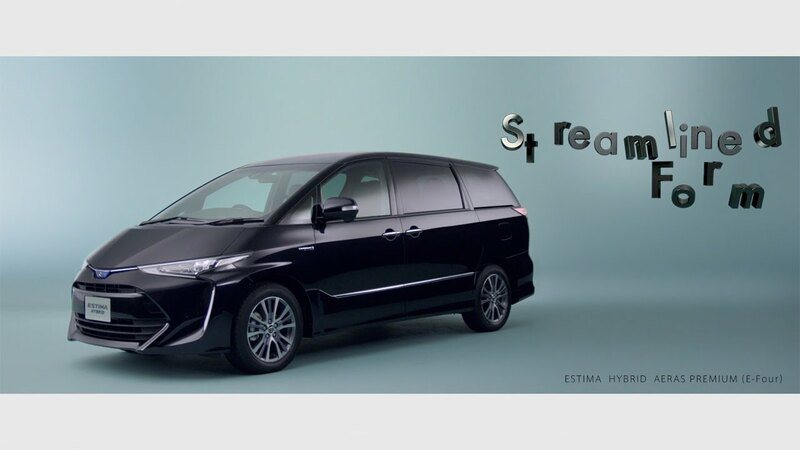 The Toyota Motor Corporation has officially unveiled the 2016 Estima facelift (MPV) in Japan, which looks aggressive and bold compare to the outgoing version of the model. The new model looks visually appealing indeed. The changes have been implemented both at exterior and inside the cabin. At exterior the new Estima MPV sports trimmed and sharp LED headlamps with LED daytime running lights placed upward. The headlamp clusters are connected by a sleek chrome trim with the company logo at the centre. The chrome trim separates the hood with the front nose section. The front bumper has been revised with an all new appearance. The trapezoidal appearance has been inspired from the outgoing Toyota Vios. The large black hexagonal front grille looks aggressive. Moving to the side profile the car sports new five twin spoke designed alloy wheels, new side skirts. The rear profile has received subtle changes. It sports a revised bumper, and the LED combination taillamps are also new. The rear also comes with aero stabilizer fin. Enter the cabin, the 2016 Toyota Estima dashboard comes with a redesigned centre console which sports a 2.6 inch TFT touchscreen infotainment system. Other added elements include a multifunction three spoke steering wheel, touch air conditioning controls, new designed AC vents. The door trims and the upholstery has become more upmarket. The car comes with different seating configuration options. The 2016 Estima facelift can afford a total of 8 occupants inside. 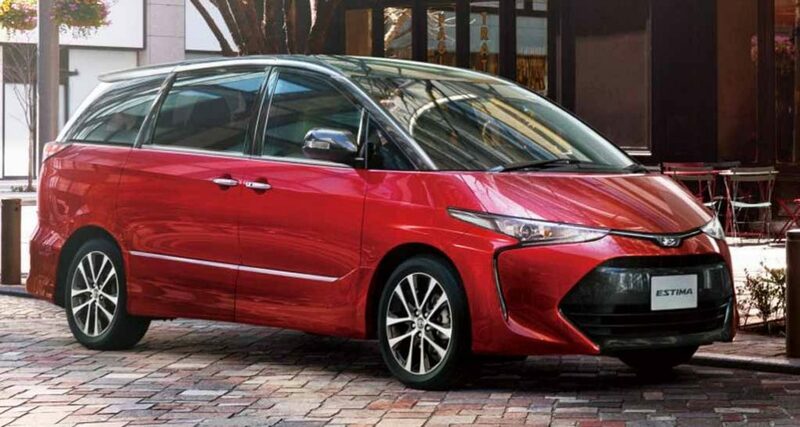 The outgoing model is powered by a 2.5 litre V6 engine which will be discontinued in the 2016 Toyota Estima. The facelift version will come powered by a 2.4 litre 2AZ-FE four cylinder petrol engine paired with a Super CVT-I gearbox which is capable to churn out around 170 PS of peak power and 224 Nm of peak torque. This powertrain will deliver 11.4 kmpl of fuel efficiency under the JC08 test cycle. On the other hand, there will be a hybrid powertrain available in Japan for the 2016 Estima facelift. The hybrid powertrain will comprise a 2.4 litre 2AZ-FXE petrol engine combined with dual electric motor. The petrol engine will churn out around 150 PS of peak power and 190 Nm of peak torque. It offers 18 kmpl of fuel economy. The hybrid model will be available in electric All Wheel Drive (AWD) configuration. The facelift Estima will be priced between 3473000 yen to 4987000 yen.